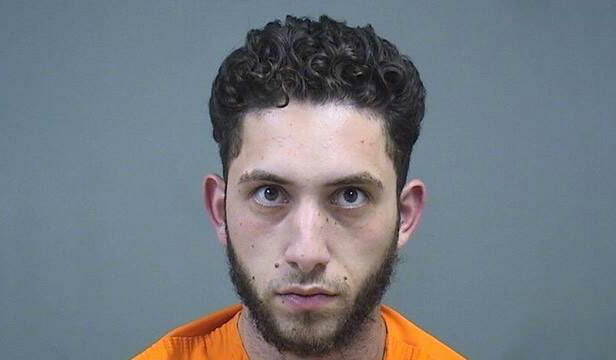 According to police, a traffic stop on Interstate 80 in Clarion Township on August 11, 2018, lead to the identification 24-year-old Haki Toplica, 22-year-old Luisa Maria Rivera Goris and 27-year-old Robert Russo, who were wanted in a multi-state fraud case being investigated by the FBI. The three suspects, along with 24-year-old Kathryn De La Torre and 21-year-old Haider Islam, also of New York, were charged in a nine-count federal indictment on March 13, 2019. Charges include conspiracy to commit wire fraud, wire fraud, and interstate transportation of stolen property. From June to September, Toplica convinced the man to fork over at least $124,000 through multiple in-person cash deliveries and wire transfers. The wire transfers ended up in bank accounts belonging to Goris and De La Torre, according to the indictment. Toplica increased the “upfront costs” as the “loan” amounts increased. The first promised “loan” was $475,000, then $3 million, then $10 million, and then $20 million, according to the indictment. On each occasion, Toplica told the man that the loans fell through after receiving the fees. The victim delivered an additional $30,000 between during two separate meetings at a restaurant parking lot in Pennsylvania and $50,000 more in cash at a Pennsylvania church parking lot, according to the indictment. Toplica told the victim that he needed the titles as collateral for a $10 million loan. The indictment alleges that Goris prepared the vehicle titles for transfer and “concocted fictitious invoices.” Toplica then had the vehicles transferred to Islam’s name. Russo allegedly drove one of the vehicles back to New York from Ohio. Toplica arranged to meet the victim in September to deliver a $10 million loan but told the victim that a “dirty cop” stole the money and threatened him. At this point, the victim declined to give Toplica $1 million for another $10 million loan. He later contacted police about the missing loans, according to federal court documents. Authorities in Ohio recorded a conversation between Toplica and the victim about a fake $20 million loan. During the conversation, Toplica reportedly demanded $300,000 in exchange for the return of the victim’s vehicle titles, according to the affidavit. Investigators lured Toplica back to Ohio with the promise of payment from the victim. Toplica was arrested Sept. 26 and remains lodged in the Mahoning County Jail. The indictment seeks the forfeiture of $172,289 from the defendants. Clarion-based State Police seized $27,000 of the stolen money during the August 11 traffic stop. It was later returned to the victim.